The design dictum of 'form follows function' is evident in all the products made by Design By Them. Nicholas Karlovasitis and Sarah Gibson have a new little offering just in time for summer which can be used indoors or outside. 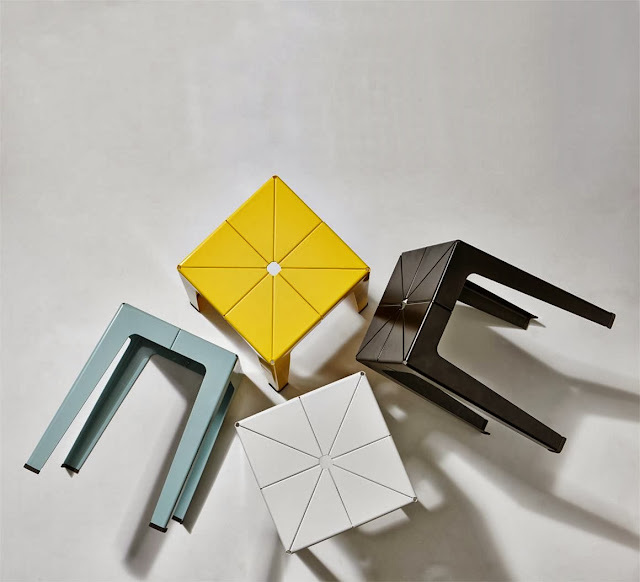 The Tuck Stool, made from zinc-plated steel, is a colourful range of stackable stools that utilise a playful fold pattern for strength while giving the appearance of lightness.